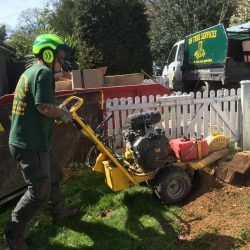 If you need to fell trees on your property, you may want to remove the stumps to make way for new plants or garden features – or maybe you already have old tree stumps that are getting in the way of your gardening or development plans? 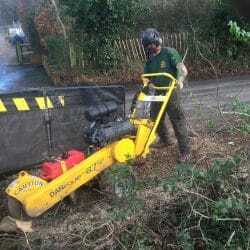 Whatever the size or location of your tree stumps, DH Tree Services can provide an efficient service to remove them and prepare your ground for future planting or building. 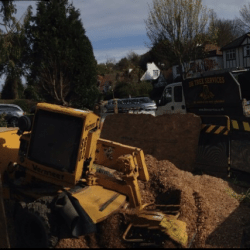 The best time to remove the stump is straight after the tree has been felled (we can provide you with tree felling and stump removal services at the same time). 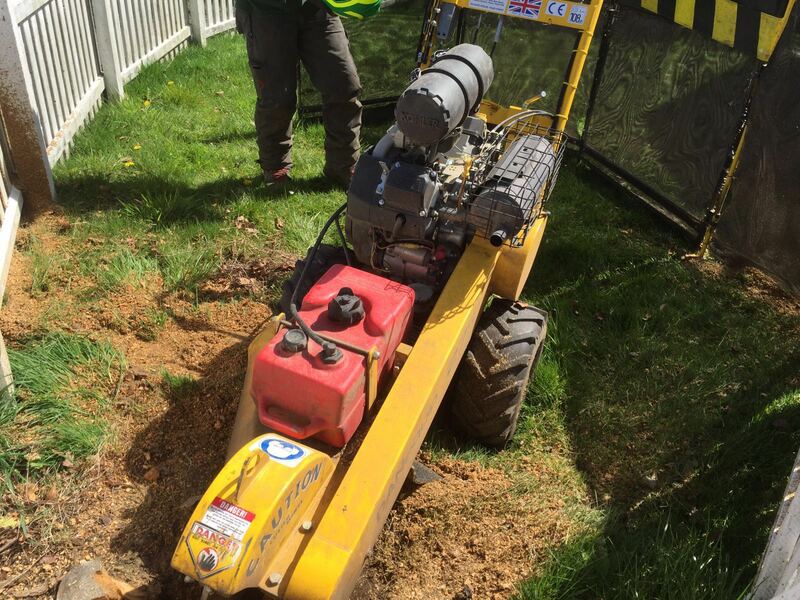 Removing the stump prevents the roots from forming new growths (known as ‘suckers’) and stops dead stumps from becoming infected with diseases such as honey fungus. 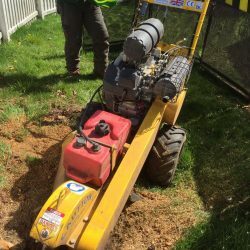 Honey fungus can have a devastating effect on your garden – it spreads underground through the root system and can quickly take hold before the symptoms become obvious. 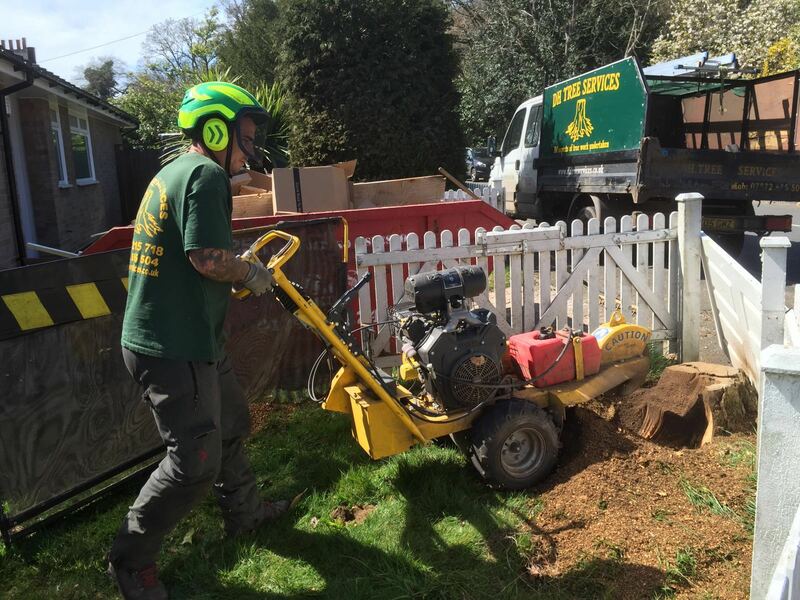 DH Tree Services can ensure that stumps are removed as soon as possible to prevent the spread of root diseases and unwanted new tree growth in your garden. 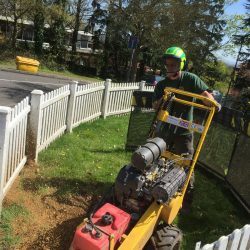 Stump grinding, where we use a stump grinding machine to remove the stump. 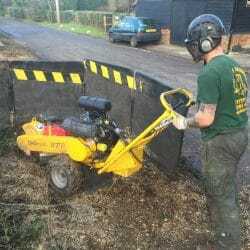 We choose our stump grinders based on the size and location of your tree stump. 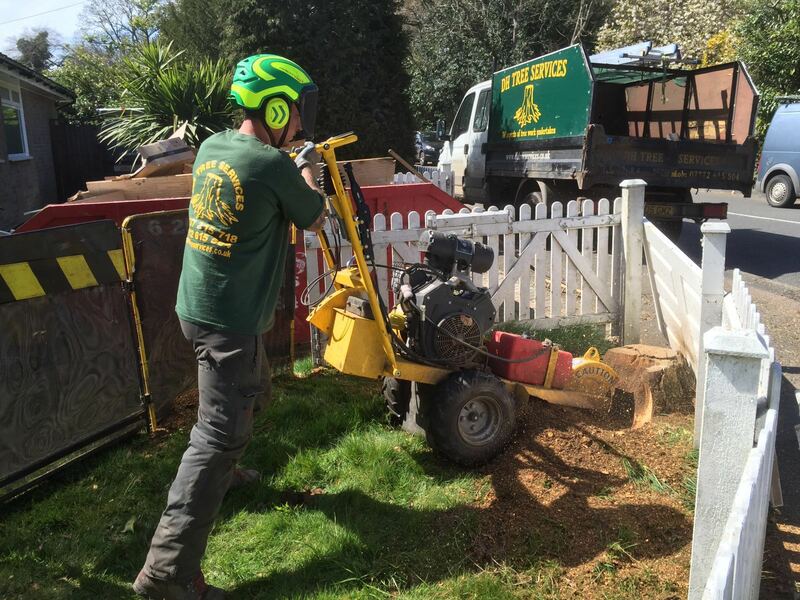 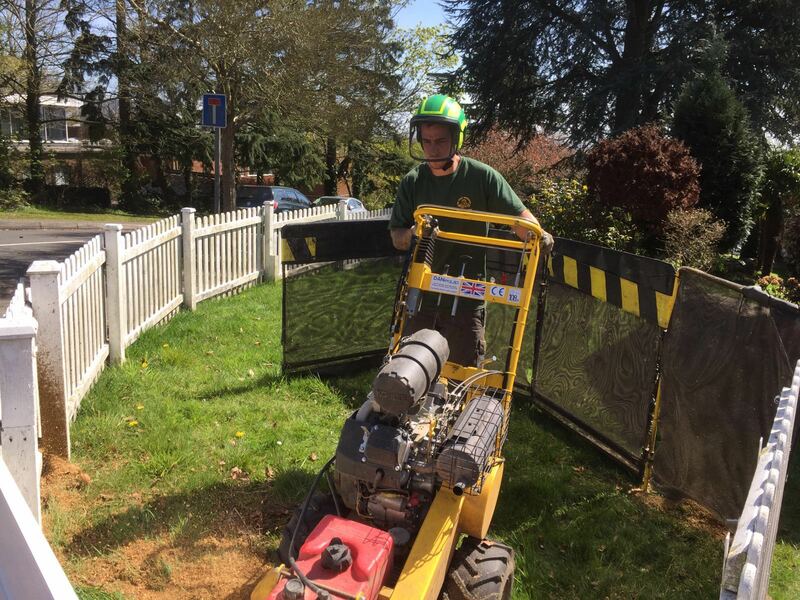 If you have a smaller tree stump or the stump is located in a tight or narrow space, we use a compact grinder designed to access these areas; we can also tackle large stumps effectively using equipment that can pass through a typical garden gate. 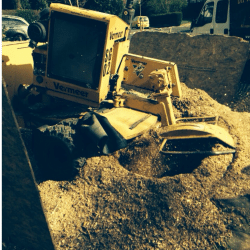 Stump treatment, where we apply herbicide to your tree stump to kill the stump and the roots, preventing regrowth. 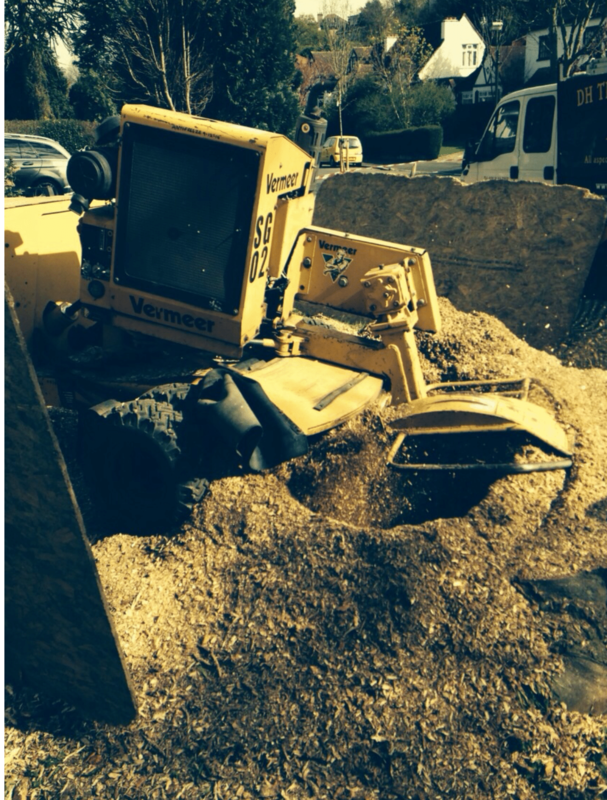 Stump treatment is effective, but it may take some time for the stump to die away. 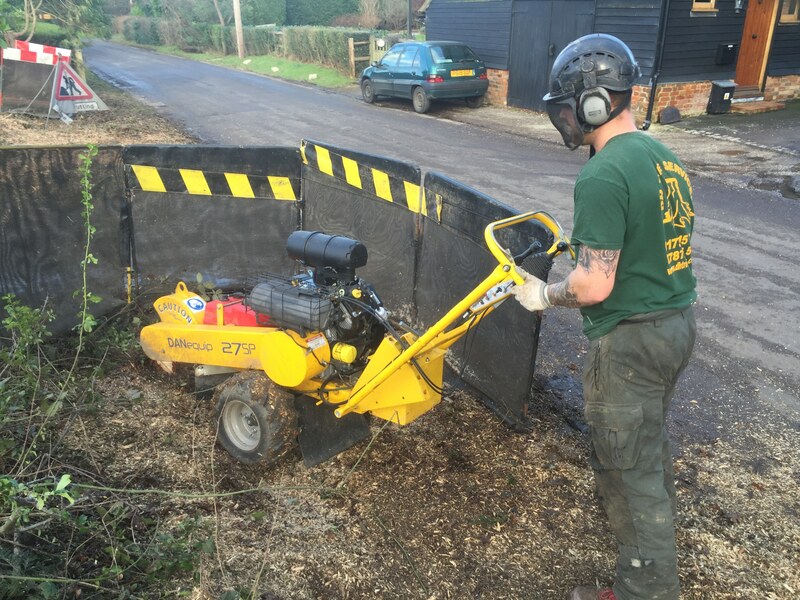 Stump treatments should be applied to freshly cut wood, so ideally this treatment takes place straight after tree felling. 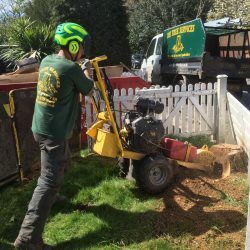 Stump grinding is an environmentally friendly solution that provides immediate results – the tree stump is instantly removed and we can use the leftover sawdust and wood chippings to fill the hole. 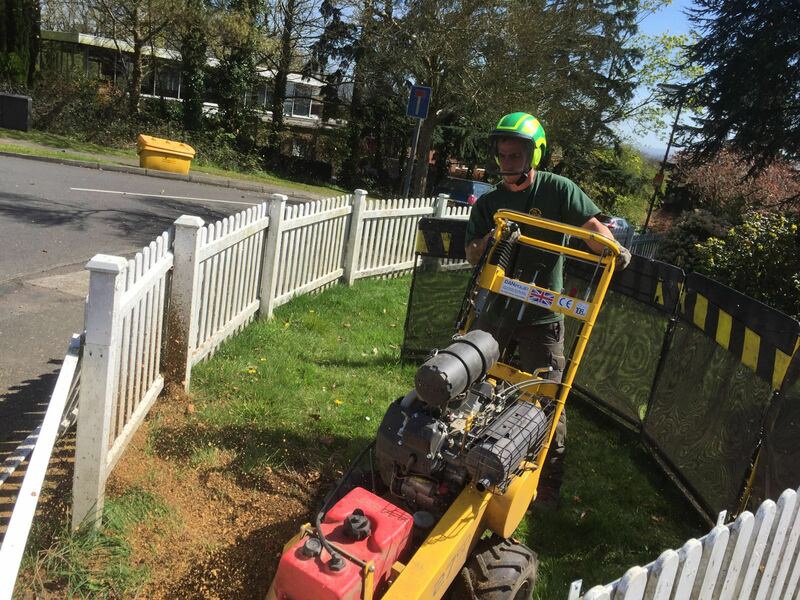 We can advise you on whether this will be suitable for your site, depending on what you plan to do with the cleared land. 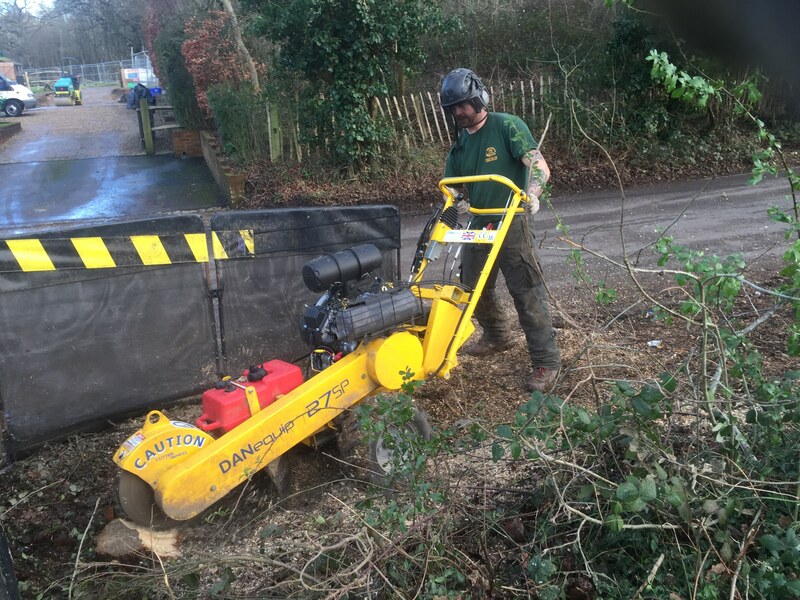 Contact DH Tree Services today to discuss your stump removal requirements and to request a competitive quote for our services. 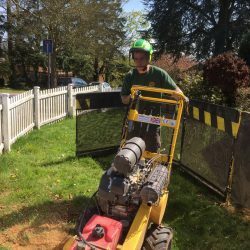 We can also offer advice on our tree felling services if required, and provide guidance on future tree planting if you plan to take your garden in a different direction.